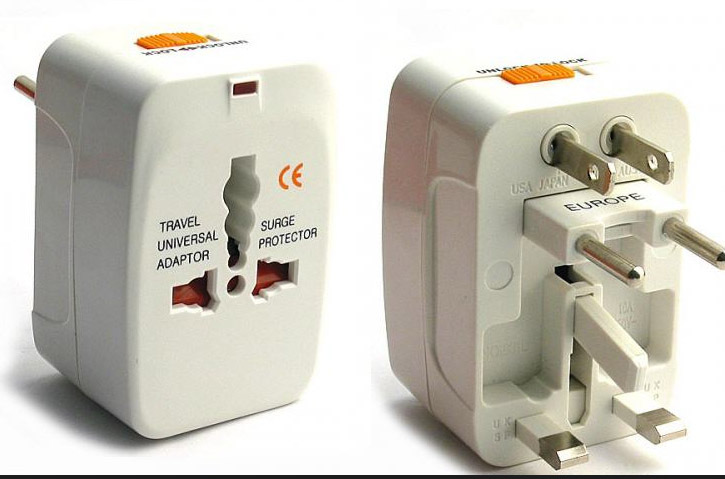 Travelling to Europe and India from Canada, one faces the problem of carrying adapters, plugs, converters etc, all because Canada uses 110 Volts with Europe and India operating on 220 Volts. Thankfully nowadays most electronic and electrical equipment come suitably modified to work on both the voltages. The complicated system of plugs and sockets followed in different countries adds to the vows an international traveller faces. Why can’t they design a system like the Universal Serial Bus (USB) used in all modern gizmos to make life easier? The switch positions as whether ‘up’ or ‘down’ is the ‘on’ position adds to the confusion. Why can’t they employ a system like Double Pull Double Throw (DPDT) switches as the ones used in computers and modern digital equipment? Why no standard is followed all over the world for a basic necessity? In 1882, Thomas Edison’s General Electric Company was distributing Direct Current (DC) electricity at 110 Volts in the United States. Transmission losses and generation costs led to the development of Alternating Currents (AC), Nikola Tesla was the first to devise a system of AC electricity at 240 Volts. Most modern electronic systems like computers and cell phones all use DC. The charging systems in all these use AC as it is easy to convert AC to DC. The original reason behind the decision to use 110 Volts was that the carbon filaments Edison was using in his light bulbs lasted far longer at this voltage. As technology improved and metal filaments became more readily available for light bulbs, one of Germany’s first electric utility companies decided to up the voltage to 220 Volts. In doing so increased their overall distribution capacity. Originally Europe was 110 Volts too, just like Canada and the US today. It has been deemed necessary to increase voltage to get more power with less losses and voltage drop from the same copper wire diameter. At the time the US also wanted to change but because of the cost involved to replace all electric appliances, they decided not to. At the time (50s-60s) the average US household already had a fridge, a washing-machine, etc, but not in Europe. In order to understand the power transmission system better, a look into the Ontario Province’s (where I live in Canada) electric supply system would benefit. Ontario’s electricity supply is a diverse mix of sources – nuclear, hydro, gas, coal, wind and, to a much smaller degree, solar, wood waste and biogas. 52 per cent of our electrical power comes from nuclear generation, 23 per cent from hydro plants, 19 per cent from gas, four per cent from wind, one per cent from coal and a very small amount from other sources. The power plant produces three different phases of AC power simultaneously. There are four wires coming out of every power plant, the three phases plus a neutral or ground common to all three. The three-phase power leaves the generator and enters a transmission substation at the power plant. This substation uses large transformers to convert the generator’s voltage (which is at the thousands of Volts level) up to extremely high voltages for long-distance transmission on the transmission grid. Typical voltages for long distance transmission are in the range of 155,000 to 765,000 Volts in order to reduce transmission losses. This high voltage power is transmitted from the generating station to the electric sub-stations using towers with three wires for the three phases. Many towers have extra wires running along the tops of the towers. These are ground wires to attract lightning. The electric sub-stations steps down the voltage from “transmission” to “distribution” levels. The sub-station is equipped with transformers that step transmission voltages down to distribution voltages (usually 7,200 Volts).. It has a ‘bus’ that can split the distribution power off in multiple directions. It has circuit breakers and switches so that the substation can be disconnected from the transmission grid or separate distribution lines can be disconnected from the substation when necessary. The 7,200 Volts power is transmitted from the electric sub-stations by power lines to the transformers outside the homes. Modern sub-divisions have underground power supply systems. Outside four or five blocks of houses, the transformers are housed in green boxes. In rural areas and in thinly populated sub-divisions, the electric poles hold a transformer in white drums. These transformers steps down the power to two phases of 110 Volts. 110 Volts cannot be transmitted over long distances without acceptable losses. This calls for more transformers; nearly one per every four to five households. The 220 Volts system saves on the transformer costs. There are two wires running out of the transformer and a ground wires running to the house. The two wires from the transformer each carry 110 Volts in two phases. This arrangement allows usage both 110 and 220-Volt (two-phases combined) for appliances like cooking ranges, dryers etc. The 110 Volts system uses two phases with a phase difference of 180 degrees to create 220 Volts and the 220 Volts system uses three phases with a phase difference of 120 degrees to create 440 Volts for use with high power domestic and industrial equipment. As the 110 Volts systems uses only two phases, the AC frequency is generally at 60 Hertz as compared to 50 Hertz in the 220 Volt system which uses three phases. On-peak – when demand is highest and more expensive forms of electricity production are used. From the safety view-point, 110 Volts having lesser voltage results in lesser shock and thus less injuries or death due to electrocution. 220 Volts generate more heat across a particular fault, thus more vulnerable to fire accidents. Burnt out sockets where the plug is loosely fitted is a testimony to it. 220 Volts circuits tend to use thinner gauge wire, thus saving copper/raw materials. 110 Volts systems use less costly plugs and connectors when compared to the 220 Volts systems. Until the standardisation is achieved, electricity, plugs and sockets will all remain a troubling element for any international traveller. A live problem projected nicely . I agree with you . I may project it through our print media here . OK with you ? Very informative and well written piece…Eye opening. The one that comes into the house in India is Single phase i.e. one phase wire and one neutral wire… Three phases are also supplied if you specifically ask for one which is required for certain equipment.. a good and informative article. A live problem for me, as I travel internationally quite frequently. I don’t think there can be any international standardization possible, at least in our lifetime. Got to live with it, I suppose.